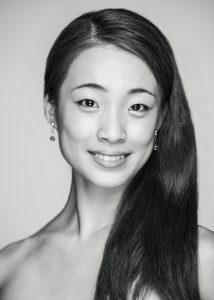 Born in Tokyo, Tomoka started ballet at the De-parc Ballet School. After reaching the semifinalist round at the prestigious Prix de Lausanne competition in 2014, she continued her studies on a year-long scholarship at the Staatliche Ballettschule Berlin, followed by the Vaganova Ballet Academy in Russia. In 2015, she joined Tulsa Ballet II and two years later was promoted directly to Corps de Ballet. Following her first season with the main company, she was featured in Pointe Magazine’s “Stars of the Corps” after appearing in the title role of Edwaard Liang’s Dorothy and the Prince of Oz. Tomoka’s repertoire also includes leading roles such as the Queen of the Dryads in Don Quixote and Olga in John Cranko’s Onegin.